Urban Picnic is Dublin's best Office Catering Provider. We feed Dublin's best offices, and leading the way in Office Catering. Urban picnic is a healthy food catering company based in Dublin who offers a modern progressive approach to office catering. Our nutritious, delicious and energising working lunches are an opportunity for collaboration and bonding – we firmly believe some of the best ideas happen over great food. Our skilled and passionate chefs continually create exciting and seasonal menus for Dublin’s brightest offices. Urban Picnic feeds Dublins Leading companies everyday. Urban Picnic can provide catering to your place of work - no cooking facilities are needed and the setup of the area can take place with the minimum amount of fuss without disrupting the workforce. Urban Picnic's latest catering option is to provide an authentic Street Food experience to your office. Choose from a wide range of exciting options including Mexican, African & Thai cuisine. Whatever your events needs, we can find something to suit your requirements. 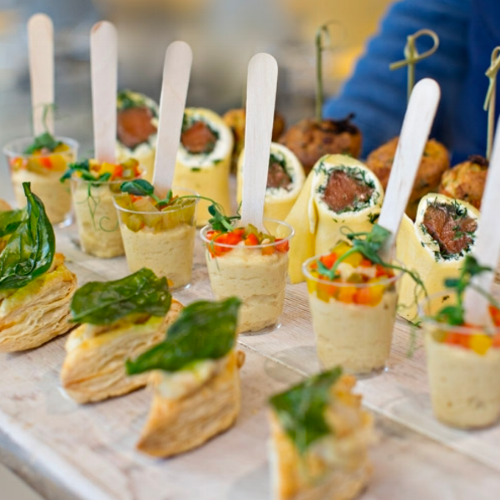 Urban Picnic has the flexibility to cater for hundreds or a handful, with remarkable, memorable food to match. Lunch Boxes Coming Soon! Check back with us for this new exciting additional option. Finishing touches are being completed and we are hoping to have our Lunch boxes with you shortly. Since our inception we have worked hard on building an renowned reputation within the catering industry. Our aim is to create raving fans, clients and customers so happy with the quality of our service that they cant help but tell people about us. We believe if we do this we will have clients for life.